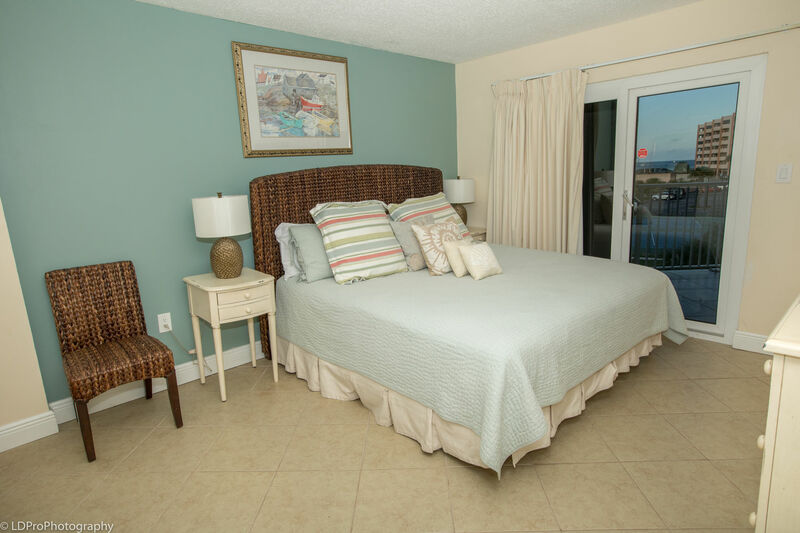 Inlet Reef 210 - Holiday Isle Properties, Inc. 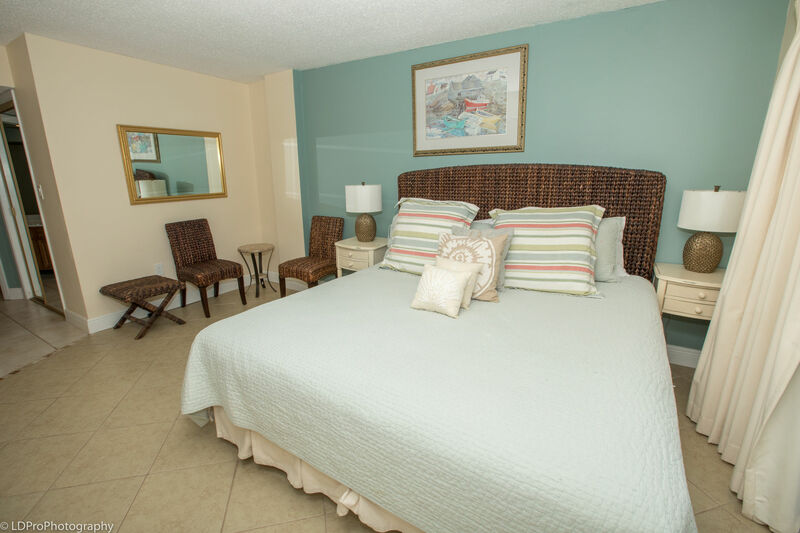 Allow the tranquil sounds of the ocean waves to persuade you to doze and dream in this PET FRIENDLY two bedroom, two bathroom Inlet Reef property, condo 210. 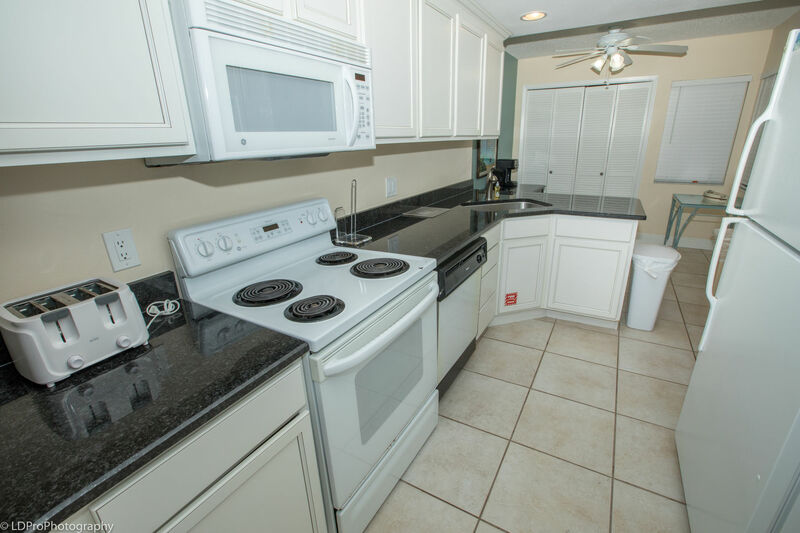 The large Kitchen gives you generous counter space to take advantage of all the full-size appliances needed to prepare your favored feast. 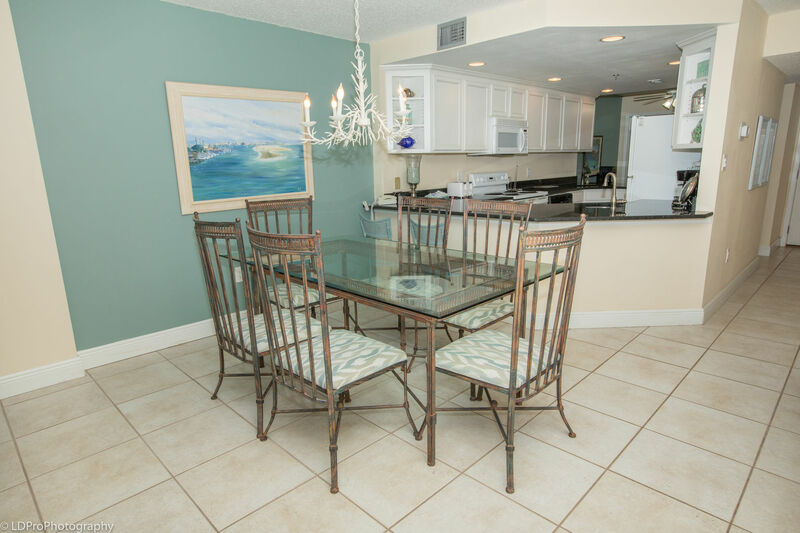 The Dining Table is set for six, and there’s a bonus area with a table set for two. 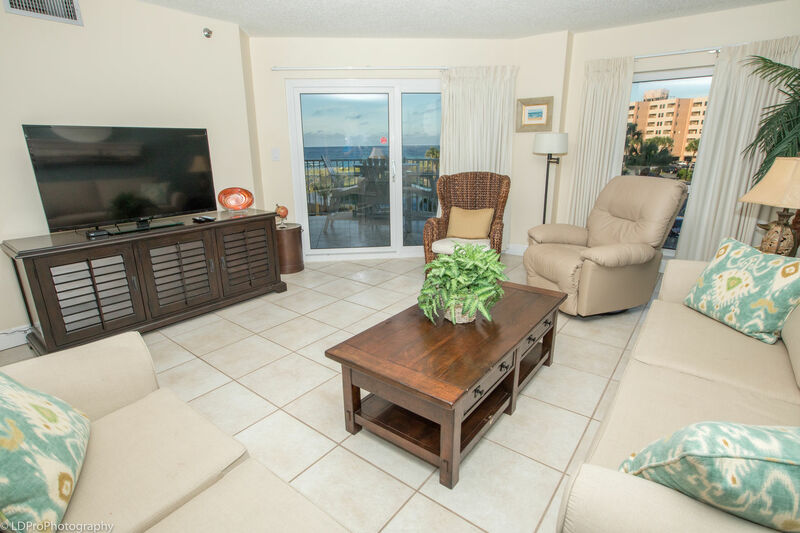 The Living Room boasts views of the Gulf and has balcony access, a love seat, a couch that doubles as a Queen Sofa Sleeper, and a big screen flat panel HDTV. 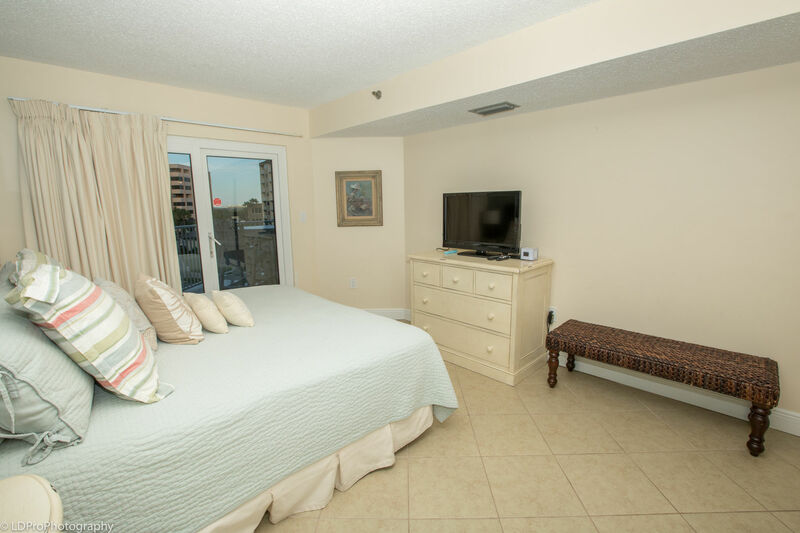 The Master Bedroom has a King bed, a flat panel HDTV, and balcony access. 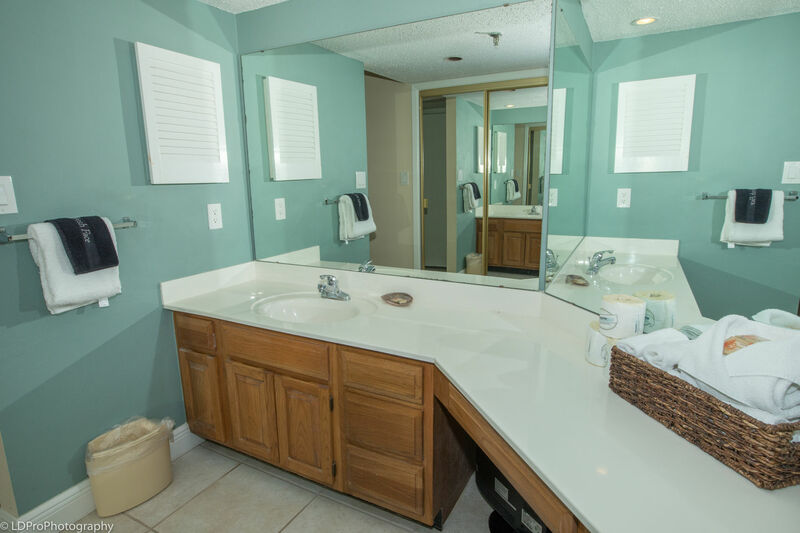 The Master Bathroom has a walk-in shower and vanity, as well as a separate makeup area with an additional vanity. 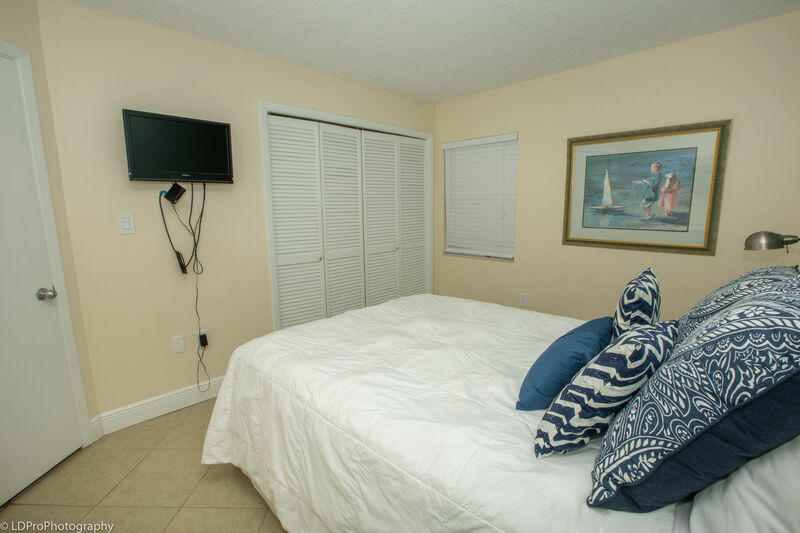 The Guest Bedroom is home to a Queen bed and a wall mounted flat panel HDTV. 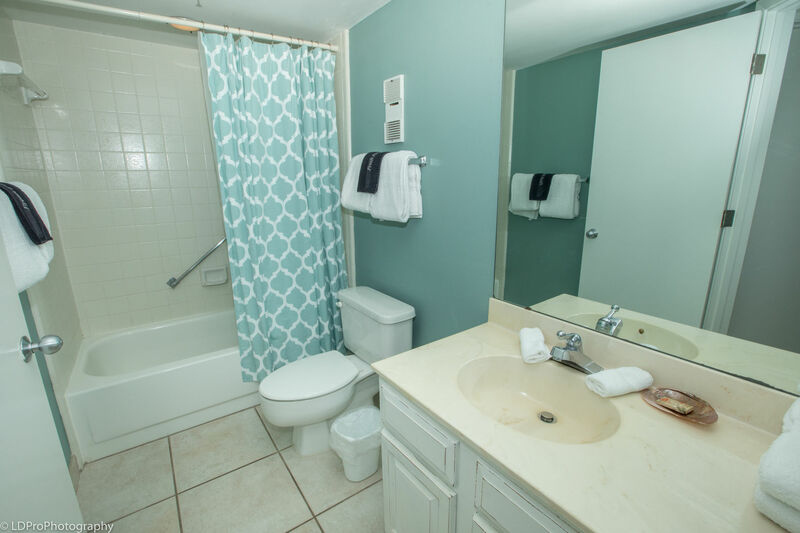 The Guest Bathroom, with its bathtub/shower combination, is adjacent to the Guest Bedroom, and is accessed via the hallway. 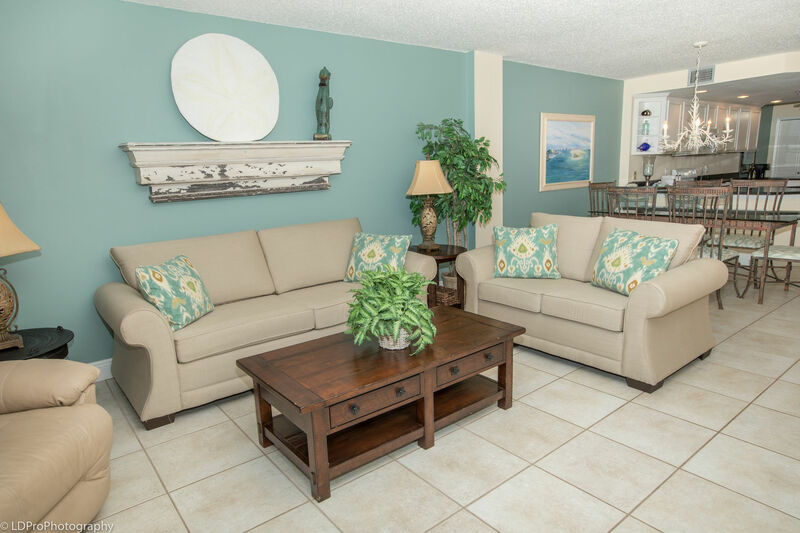 This spacious two bedroom, two bathroom condo sleeps six total guests in contentment and relaxation. 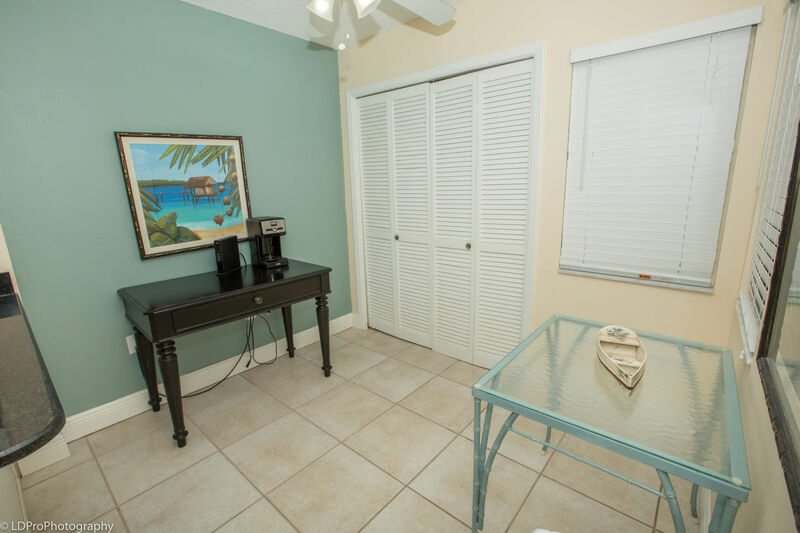 The condo comes with a full size washer and dryer, complimentary high speed wireless internet access, and seasonally two chairs and one umbrella set up on the beach for you every day at no extra charge. 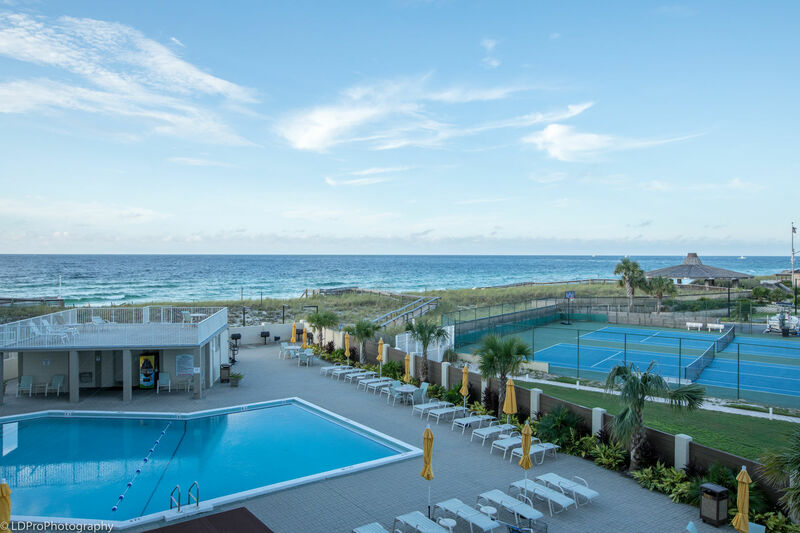 With all these perks, perhaps the biggest benefit remains on the hexagonal balcony, with its wet bar and tremendous views of the Gulf of Mexico and Inlet Reef’s pool area. 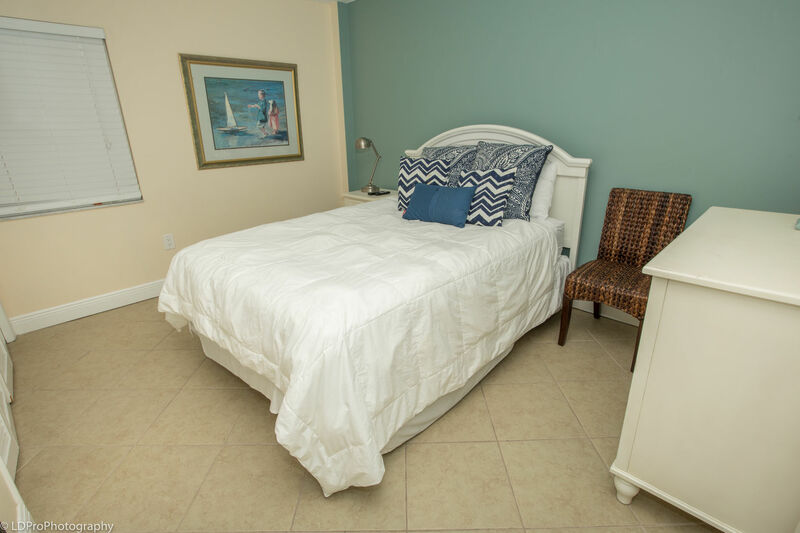 Nothing left to be desired and priced to please, this oasis does not reside uninhabited often, so reserve your R&R today! We loved our stay. The place was nice and the view was great . We were so sad to leave we tried to add days lol . Next year we will book a longer stay . 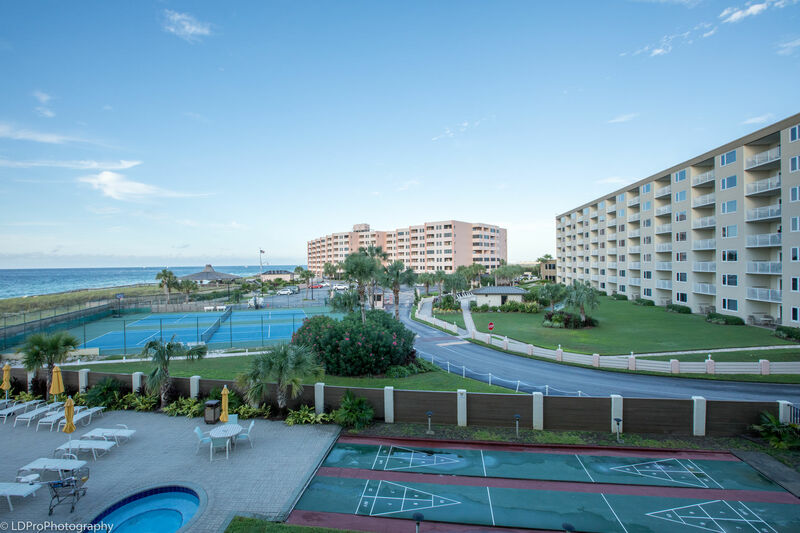 We love the beach and this resort . We rent a lot of condos! This one is wonderful. From the beginning of the booking process the rental company was very easy to work with and are professional. The condo is well appointed. 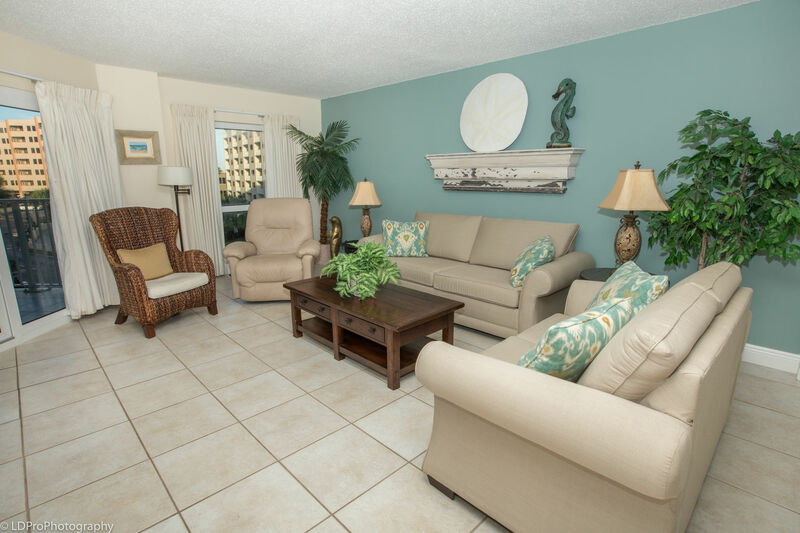 The pictures of the beach view online really don't do justice to the gorgeous view one has in this unit. 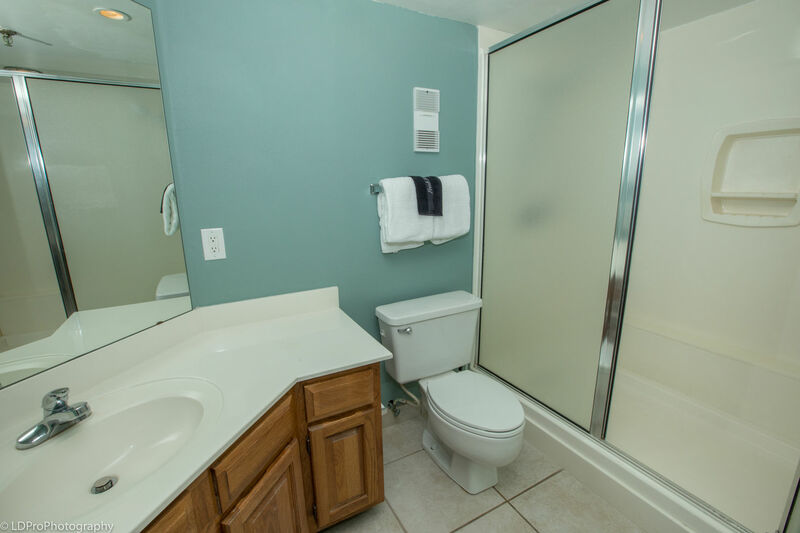 We had a small issue with a cleanliness problem in the guest bath and it was taken care if immediately. It was not a big deal at all. 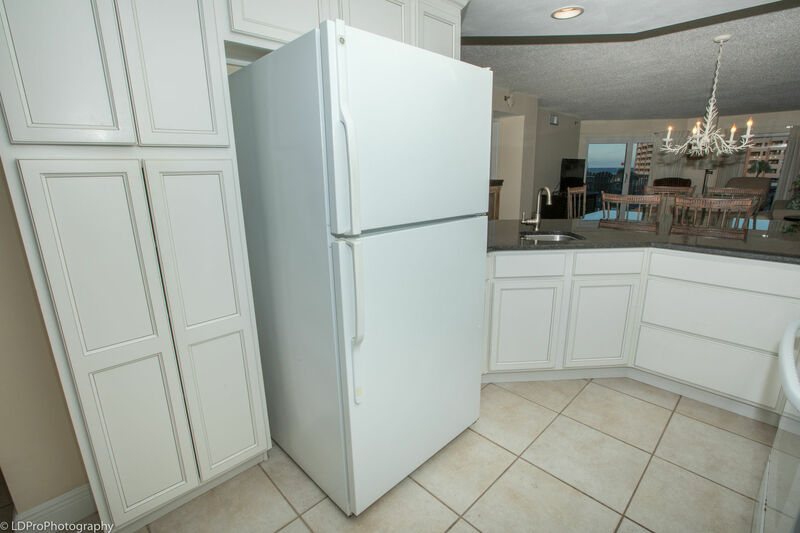 We highly recommend this unit! Condo was absolutely beautiful and had great views!!!! 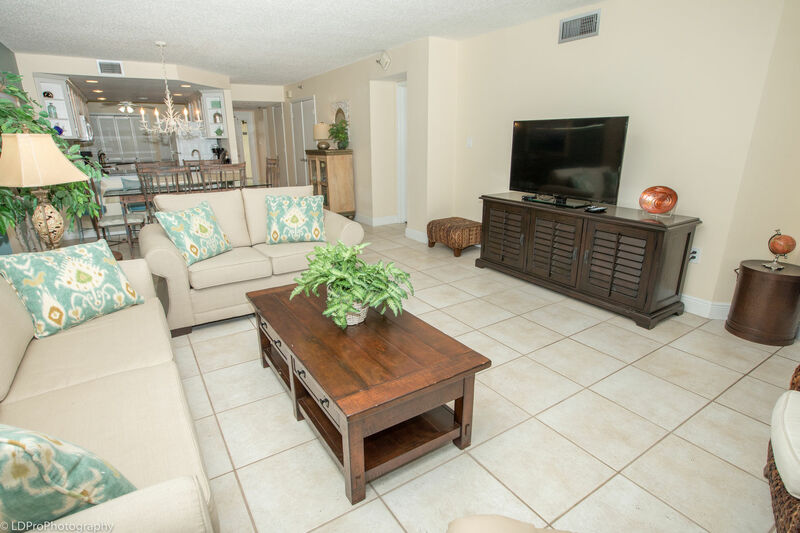 We will certainly book this condo in the future. 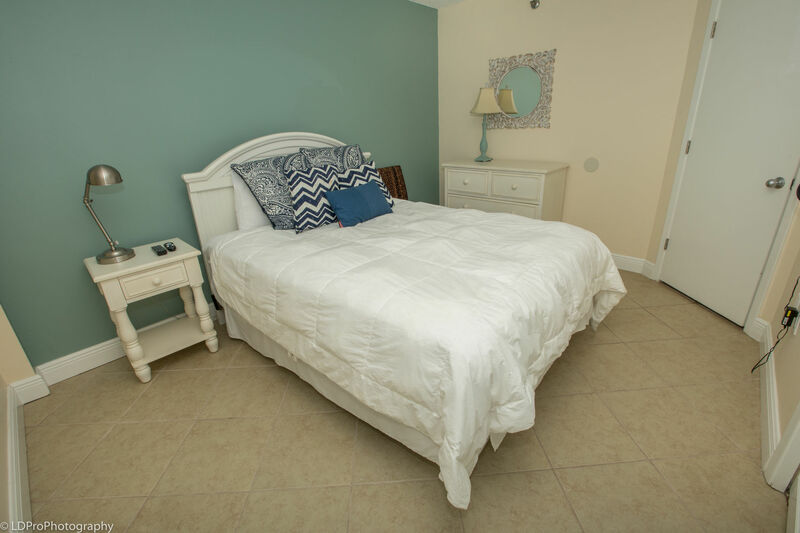 It had everything we needed for an 8 day vacation with our adult children, dog, and two young grandchildren. 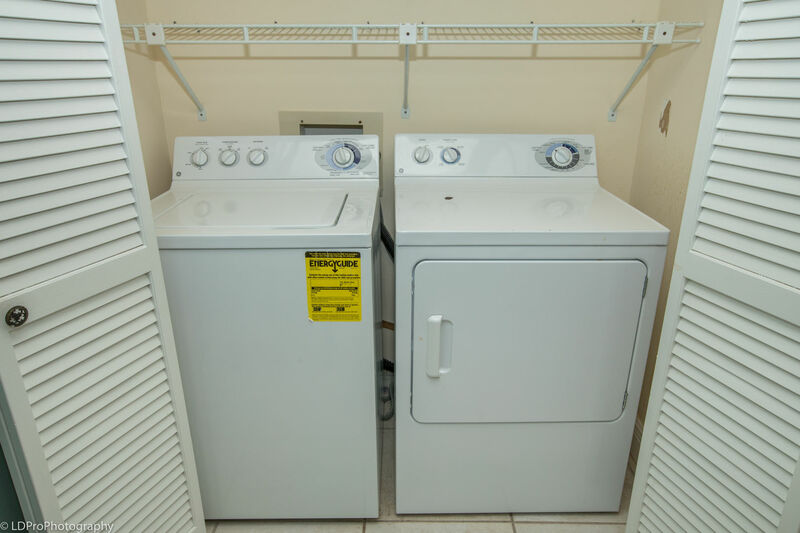 The washer/dryer set were lifesavers. The listing description was completely accurate. I do believe that more emphasis should have been put on the great view of the ocean. The deck had a heavy wood table set, which was great for relaxing day or night. 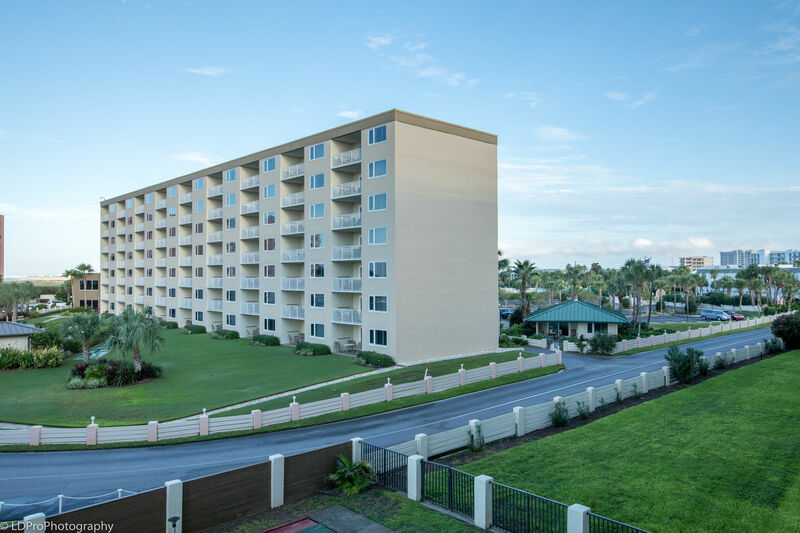 The layout, location, and amenities couldn't have been any better if we had built the place ourselves. 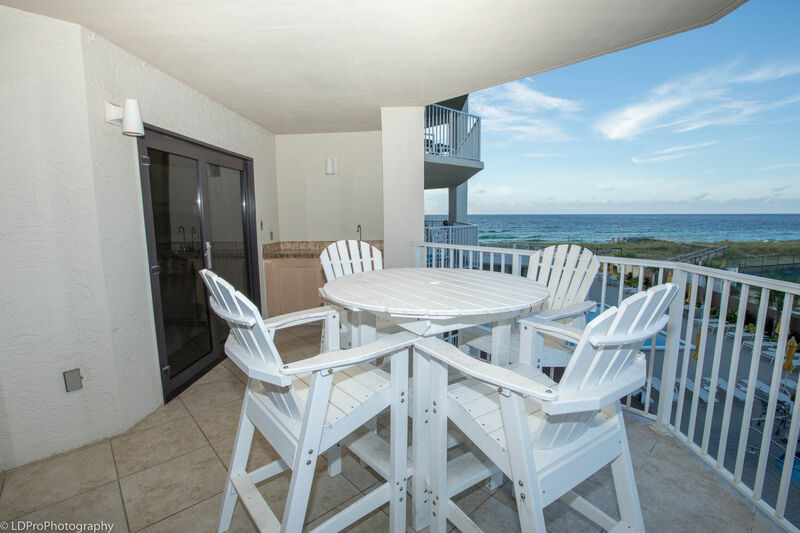 We are so thankful that you allowed us to bring our dog and grandchildren (there are places that don't allow one or the other) and that we spent our time in Destin at your wonderful condo. We will be back! We thoroughly enjoyed our stay and vacation in Destin.